Critical Role is a live Dungeons and Dragons roleplaying game, DMed by fantastic voice actor, and nicest person on earth (seriously, he is! ), Matthew Mercer. Every week he takes a fantastic cast of incredible voice actors through hilarious and fantastical adventures. It’s spectacular storytelling and I have long been wanting to do some fan art of the show. 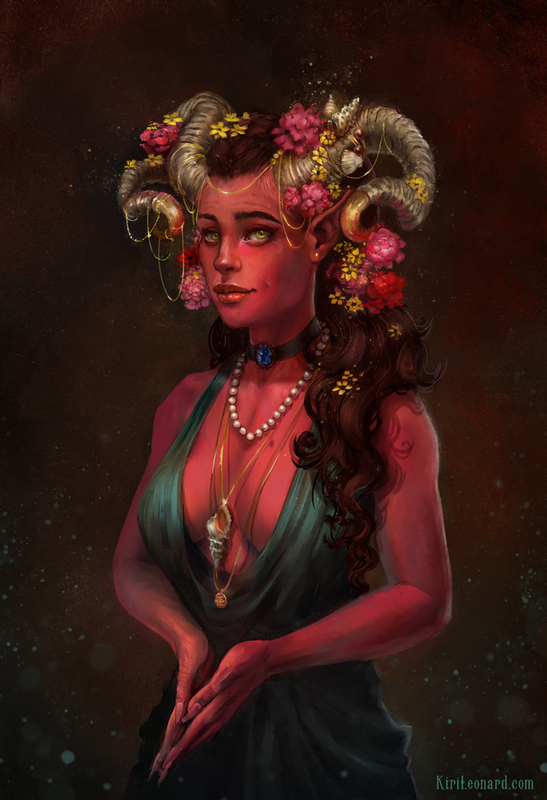 When Matthew Mercer described Marion, The Ruby of the Sea, mother of Jester, I could no longer resist. I just had to paint her! Your Art is outstanding and deserve more exposure. I just love your drawing, I look at them and I just know, that you love it. Its an inspiration to us all. Keep up the good work.